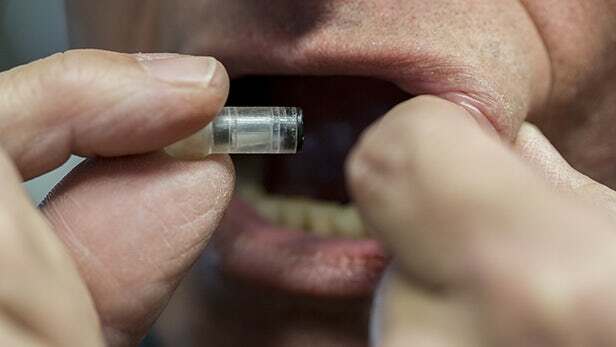 Researchers at the university of California, Berkely, has developed an innovative small pill sized Jet spray called the MucoJet that can blast the vaccine inside without any pain. The buccal region of the mouth is a major entry site for most of the infections. It is also rich in immune cells but is rather underutilized for oral vaccine delivery owing to the thick mucosal layer it possesses. But MucoJet has successfully delivered the vaccine to the immune cells of the buccal cavity and induced an immune response in animals as found in laboratory tests. what is Mucojet? and how does it operate? -There interior of the MucoJet contains a piston and two compartments separated by a thin membrane. -The reaction produces carbon dioxide and generates enough pressure to push the movable piston. 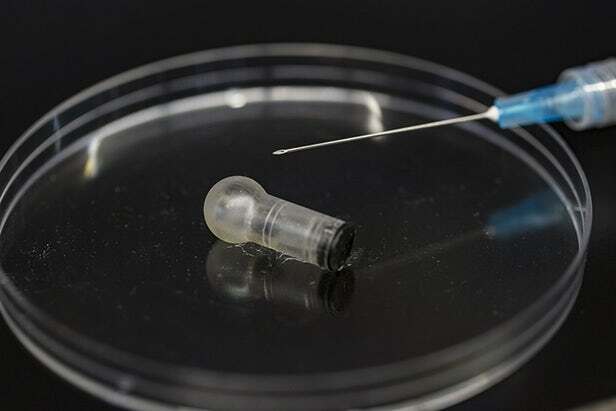 -When the device is held inside the cheek and pressed it generates enough force to deliver the vaccine directly to immune cells beneath the mucosal layer and generates an immune response. Researchers conducted the lab experiments using the new system on pigs and rabbits and found an increased level of immune response in both the cases leading to the production of more antibodies. They found that by increasing the pressure of the drug efficiency of drug delivery was greatly increased. Although it is yet to be tested in humans researchers say that the data indicates the vaccine delivered through MucoJet should generate an immune response as effective as when given via needle. This method also eliminates the pain factor and biohazardous waste that happens in the case of using vaccine delivery via a needle. Apart from it the method does not require any expertise and can be administered by the patient alone without the need for a doctor. Future work would involve testing the system in large animals, researchers are currently testing the system using different sizes and shapes of the device. The researchers hope that one-day MucoJet can be inserted inside the lollipop, so that children no longer need to go to a clinic for the vaccine.